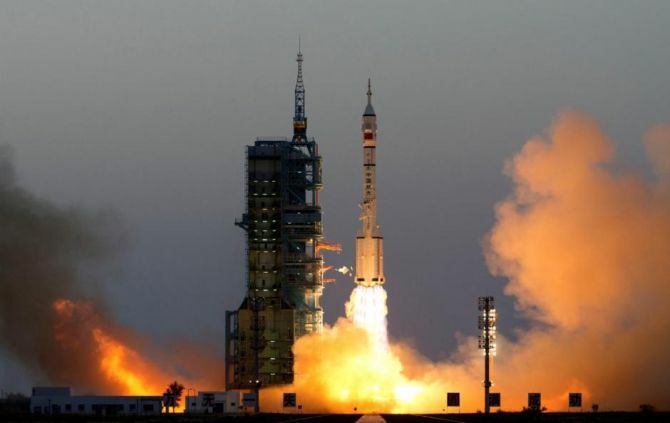 India has come out with a draft space activities Bill focused on allowing private players to build satellites, rockets and space vehicles for domestic and global needs. So far, most space activities has been government driven - developing satellites and launching these on homegrown rockets to create capacity for the country's needs. The lack of a space law was being seen as a hindrance to exploit the country's potential as a hub for global space activities by private firms, say experts. "The enabling law gives confidence to private companies to take risks and invest in space activities in India," says K R Sridhara Murthi, a space policy expert and a former managing director of Antrix Corp, the commercial arm of India's space agency. The draft law is open for public comments for a month, following which it will go to Parliament for approval. India is a signatory of all space agreements, except one on moon, under the United Nations. Another legal expert says the draft law does not have clarity on use of space objects, has clauses that give arbitrary power to the government to look into research activities and lacks clarity on a regulator for penal provisions. These could hurt business. "The fact that India has drafted this law is welcome. However, some of the provisions in the draft Bill needs scrutiny, as these could scare away international investors,” says Rishabh Sinha, a counsel at TRA, a law firm based in Delhi that advises technology firms. A law would help global space players to use India as a hub for commercial space activity, including making satellites and using Indian rockets to launch satellites. The Indian Space Research Organisation (Isro) is also looking at this to build a base for private players to exploit this opportunity and generate jobs in the country. It has already begun transferring its technology for satellites and rockets to private players. A consortium led by Alpha Design has already built a navigation satellite for Isro, while it has floated a tender to outsource manufacturing of 35 satellites to private players. Isro is forming a consortium of players, including Larson and Toubro, Godrej and Hindustan Aeronautics Ltd, who can build its workhorse Polar Satellite Launch Vehicle (PSLV) by 2020. Isro chairman A S Kiran Kumar told Business Standard in an interview: "We are enabling industries working for Isro and new companies to not only provide solutions and systems to us, but also provide to global space systems. "Now, there is an opportunity because some things can happen at a significantly lower cost in India compared with others. Isro sees a sweet spot in a revival of space activities by private players globally. Over 6,200 small satellites (of less than 50 kg) are expected to be launched by 2026 - 70 per cent from commercial operators who are planning large constellations, according to Euroconsult, a global space researcher. The total market value of these small satellites could triple to $30.1 billion in the next 10 years, up from $8.9 billion over the previous decade, it said in a July 2017 report.